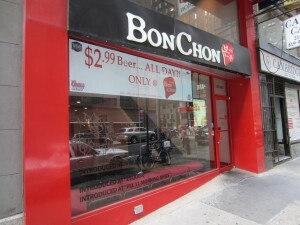 Now that the Wing-Off can include any Wing, BonChon Chicken was destined to be our first choice. People have been touting their Wings to us for years. 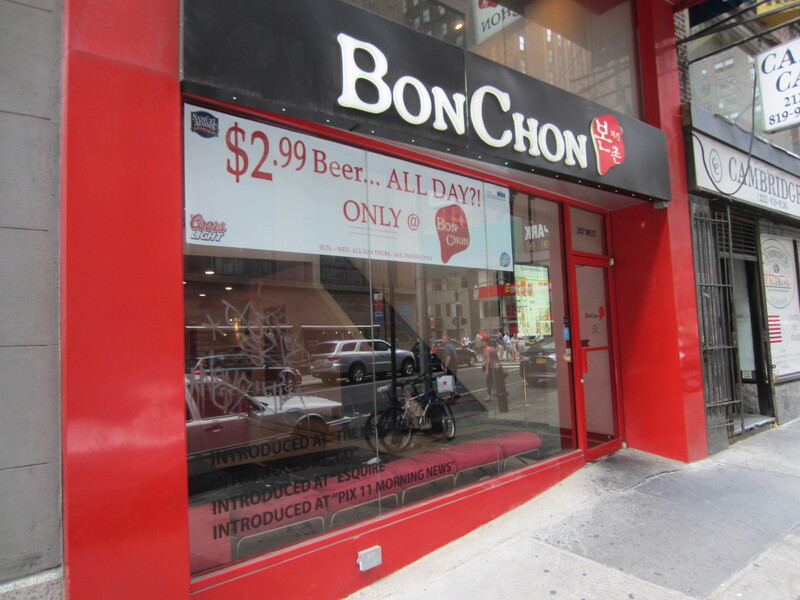 BonChon is a chain originally born in Seoul South Korea. Their extremely crispy, yet not greasy Chicken Wings have become well known in the Wing community as their Chicken dynasty spread to the states. 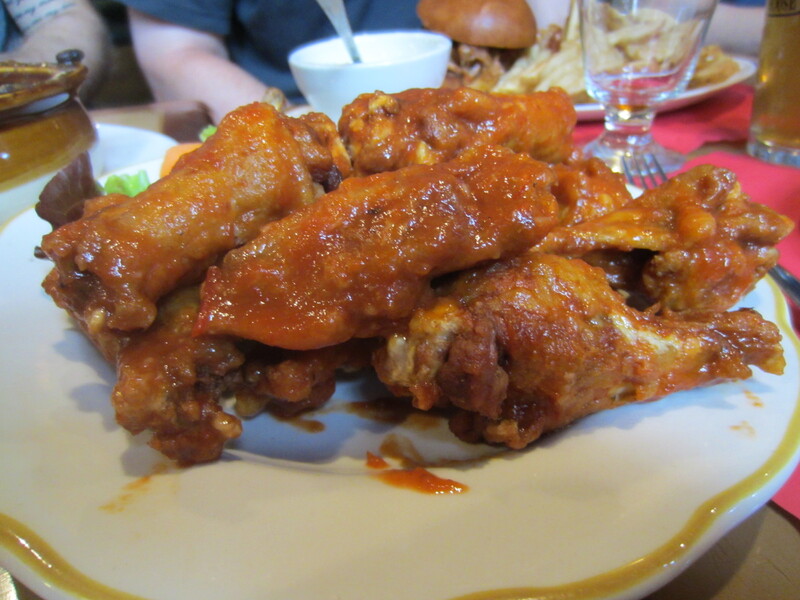 Thankfully for the NYC Wing-Off Crew, they also have $2.99 drafts of beer, all the time. 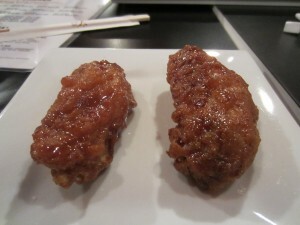 BonChon only offers two kinds of Wings; Soy Garlic & Spicy. We ordered both of them and they come with their signature Radishes. 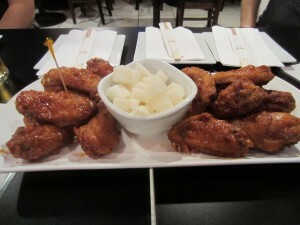 BonChon’s wings are EXTREMELY crispy with a super crunch. 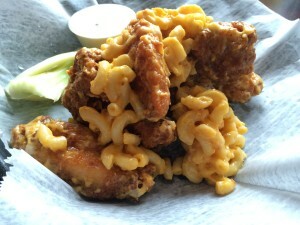 If you are into crunchy Wings, this would be your jam. The Soy Garlic tasted great and the Spicy ones were VERY spicy. They were so spicy in fact, that I had to cleanse my palette before starting in on the Soy Garlic because it’s a heat that lingers. Everyone really liked the Wings but agreed they could use a little more Meat on the bone. 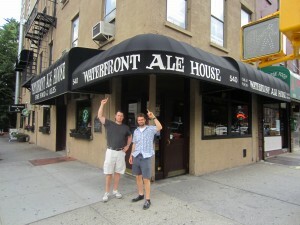 The Waterfront Ale House has a long established history here in NYC. They are well known for being one of the longest running and most respected craft beer bars in New York. 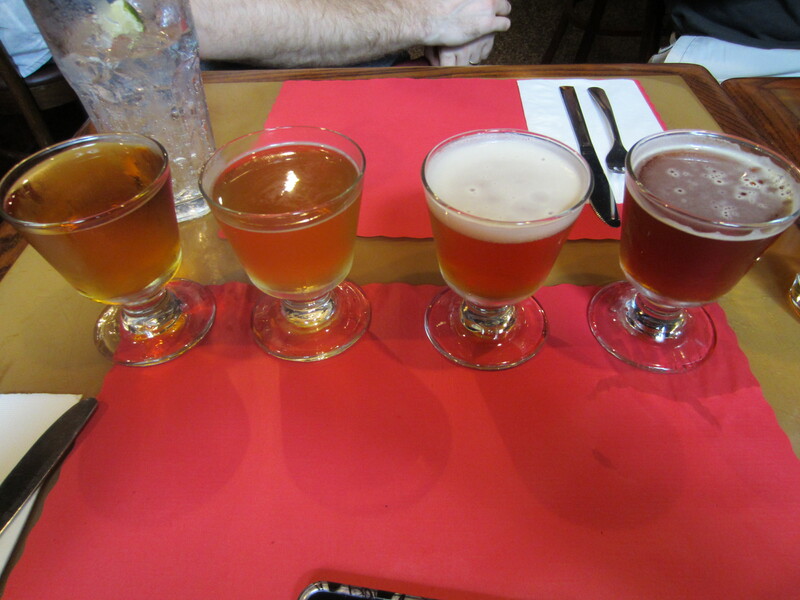 Their rotating selection of beers has earned them an award as one of the few Good Beer Seal awarded bars. 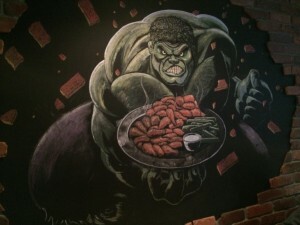 On top of the tasty beers, The Waterfront Ale House has a reputation for great BBQ though their Fuhgeddaboutit BBQ crew lead by owner Sam Barbieri. They’re also known for having great Hot Wings. 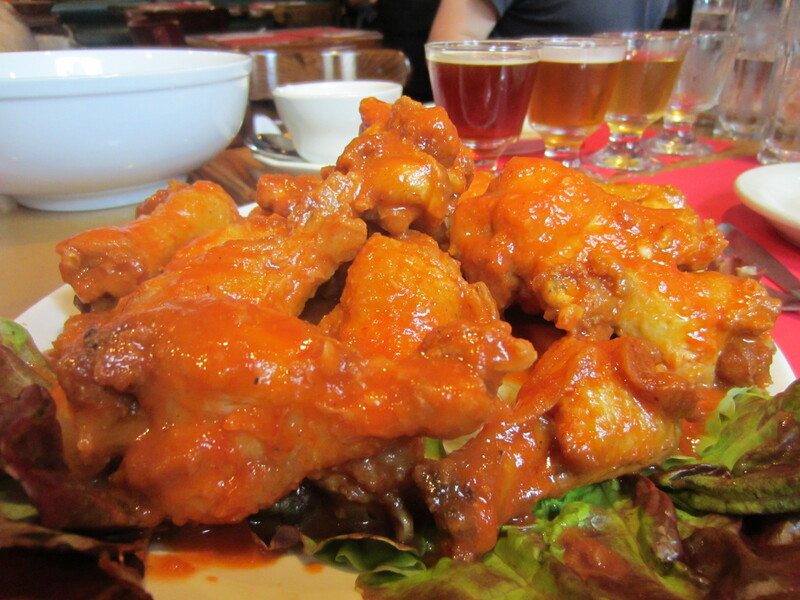 While throwing back a number of tasty 4 ounce beers thanks to our Thrillist Rewards Good Beer Seal Passport, we waited patiently for the Wings to arrive. Once they did, there was no holding back on hungry fingers. The Wings at Waterfront Ale House are covered in a Tomato based sauce that is almost more an Italian Red Sauce Gravy like then a standard Hot Wing Sauce. It has a bit of smokiness to it and yet is also a little sweet. It doesn’t have a lot of heat but does have a lot of flavor. It was so good in fact, that we placed an 2nd order, this time with a request for them to be a little crispier. This was key in the preparation of the Wings so be sure you do the same. While there we decided to try a few more items on their eclectic menu. The Pulled Pork sandwich was great and almost didn’t need the Bun. 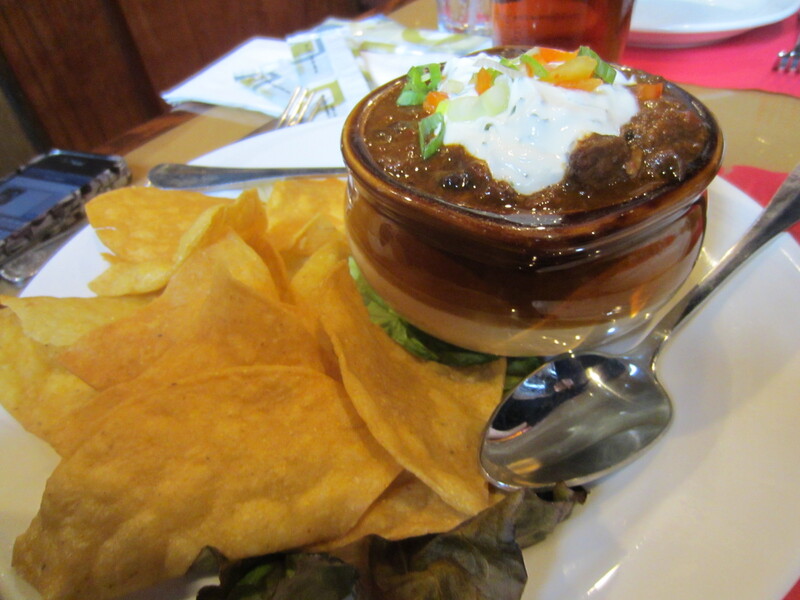 My eyes lit up like friggin Christma’s trees when I saw the words “Venison Chili” on the menu. You can order it a top a plate of Super Nachos or with Nacho Chips for dipping on the side. One thing you should know about me, while I do pledge allegiance to the Burger, Venison is actually my favorite thing in the world to eat. This Chili was delicious and I’d definitely suggest you sharing some with friends on your next visit. 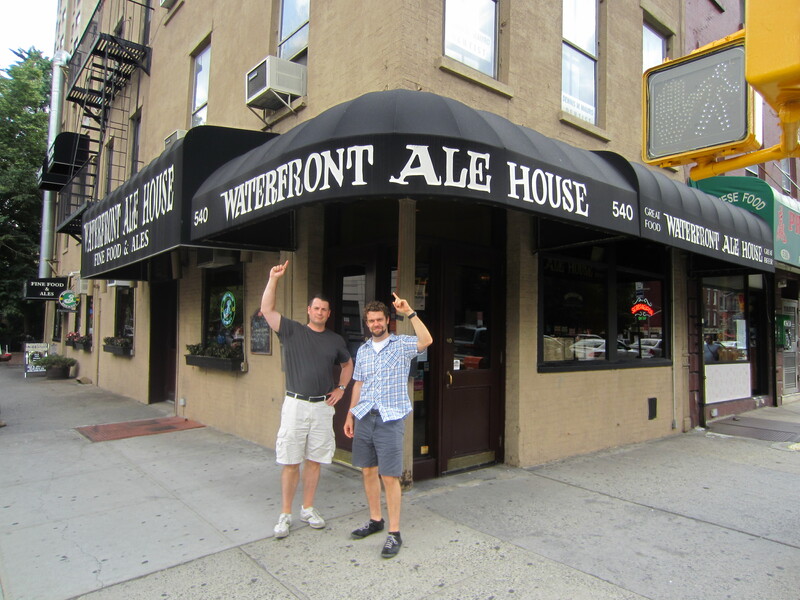 WING-OFF 16 OFFICIAL WINNER – WATERFRONT ALE HOUSE! These Wing-Off’s are never easy to judge, especially when the food is always so damn good. Now that we aren’t judging on a standard like style, it makes this even harder to call. For this particular competition, the decision actually turned into debate because both BonChon & Waterfront Ale House have great, Great Wings. However, someone has to be declared a victory and in this case, it was Waterfront Ale House.